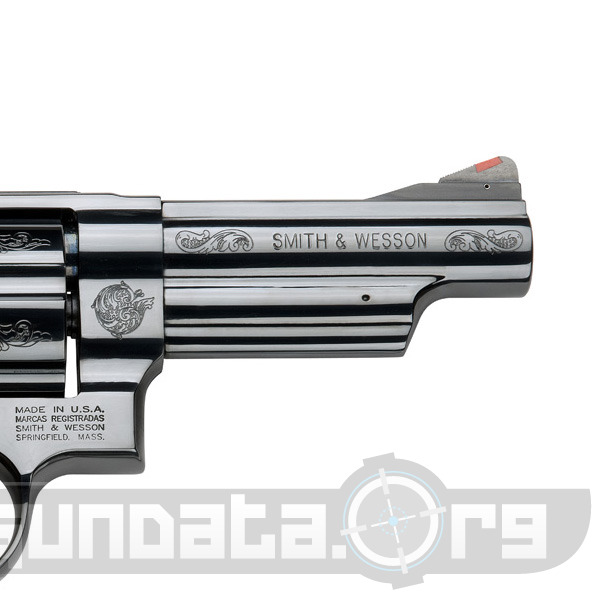 The Smith & Wesson Model 29 - Machine Engraved handgun is a special edition version of the N-Frame designed revolver that was first introduced onto the market in 1955. The overall length of the frame is 9.25-inches, with a 4-inch barrel. The finish is blue, with a wood grip that is also engraved. 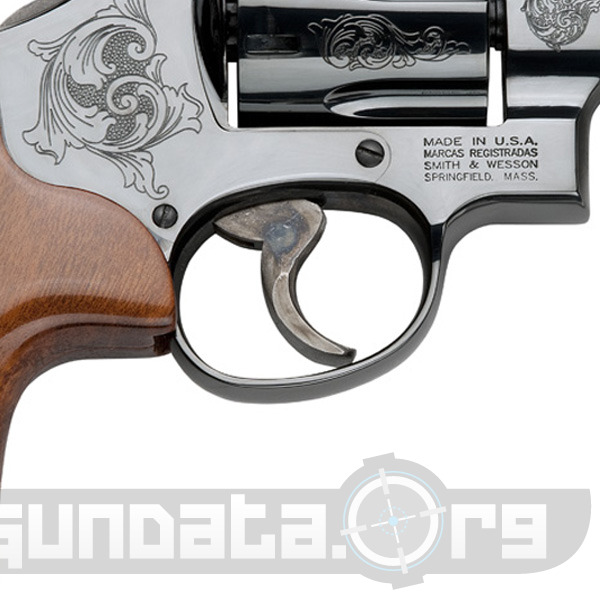 The S&W Model 29 has pinned red ramp front sight, and a micro adjustable rear sight. 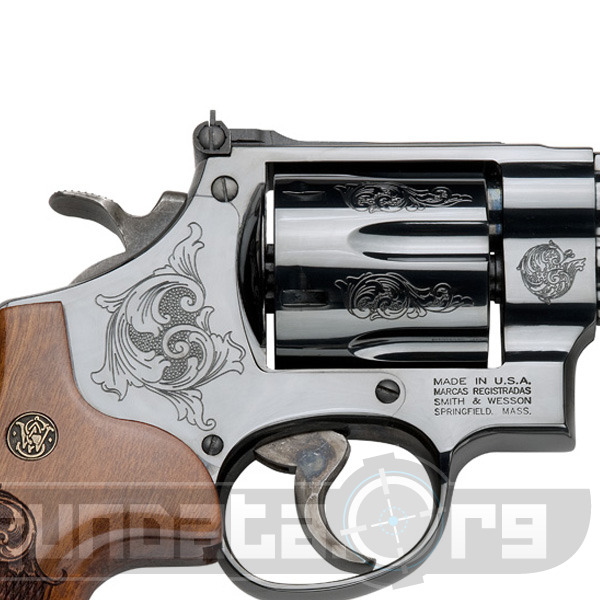 It can hold 6-rounds of .44 Mag or .44SP ammo. 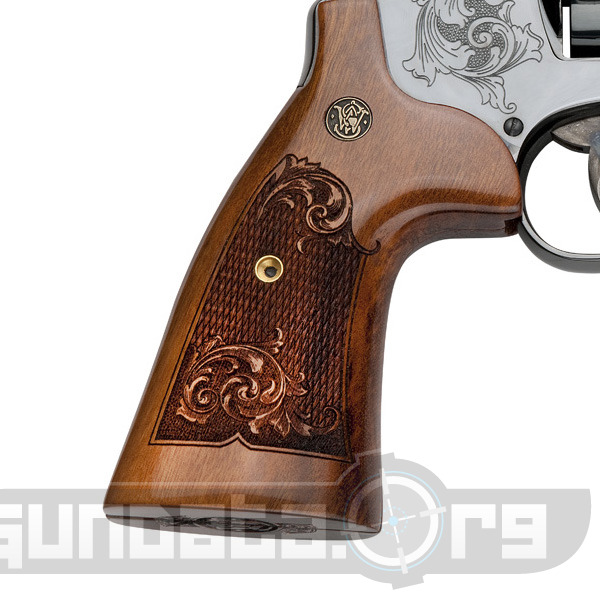 It is a collectors handgun that is also used for recreational shooting, personal protection, and small game hunting. The frame, cylinder, barrel are carbon steel, and includes a mahogany presentation case.